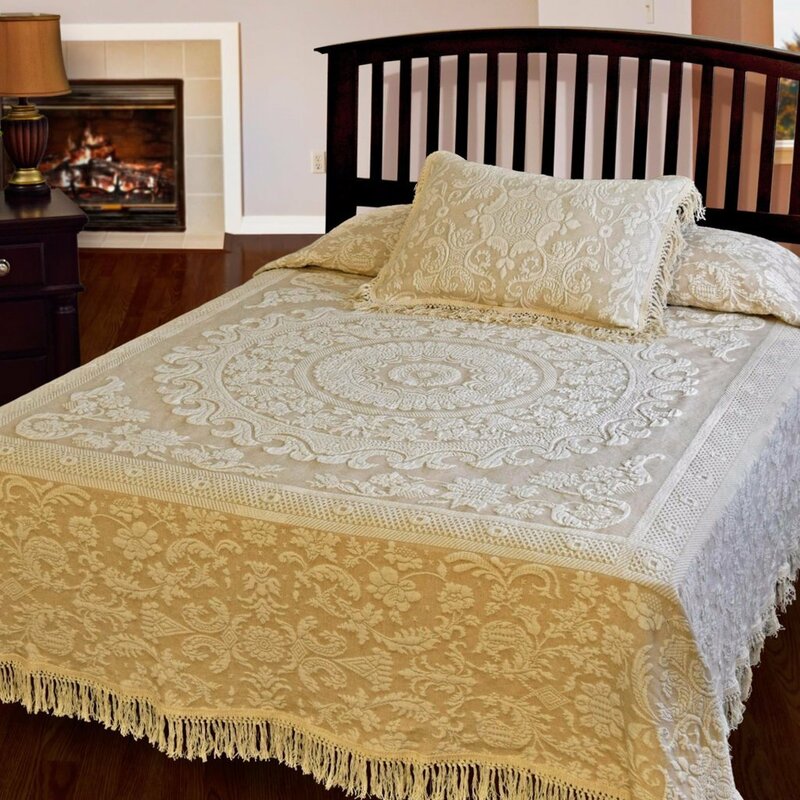 Bates style Bedspreads by Maine Heritage Weavers | P.C. Fallon Co.
Years ago, Bates of Maine was the world's largest manufacturer of bedspreads. Almost every house had at least one Bates bedspread. Times and tastes changed and those old bedspreads were put in closets and forgotten about. A new generation is now appreciating the classic beauty of the old Bates Bedspreads and people are searching them out. We get many inquiries about the value of old spreads. The old Bates bedspreads have little value as antiques because so many were produced. We tell people to use them and enjoy them as a bedspread. The best selling bedspread was the George Washington spread. It's terry loop construction made it cheaper to produce than the matelassé weave spreads therefore it sold for less. The bedspreads we sell today, both the George Washington and the other matelassé ones, are exactly like the old ones. They are made by Maine Heritage Weavers on the same equipment in the same town in Maine. P.C. Fallon is proud to partner with Maine Heritage Weavers to offer you these wonderful bedspreads.